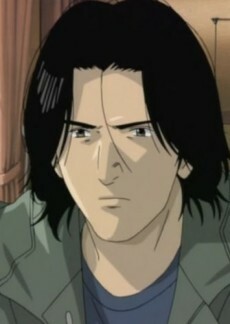 Doctor Kenzo Tenma is a Japanese neurosurgeon working at the Eisler Memorial Hospital in Düsseldorf. At the beginning of Monster he is favored by the department director for his prodigious surgical skill. After a crisis of conscience, he chooses to save the life of a young boy instead of the city's mayor, and is unjustly demoted as a result; he then becomes suspect for murder when the department director and several prominent doctors are killed weeks later. It is only after nine years that Dr. Tenma learns the perpetrator of the hospital murders is none other than the boy he saved years before, Johan Liebert. Plagued by guilt, he resolves to find Johan and end the life of this "monster" he feels responsible for creating. Despite his mission, Dr. Tenma is a humanitarian who genuinely cares about the lives of others. These acts of kindness make him very influential with the people he meets.